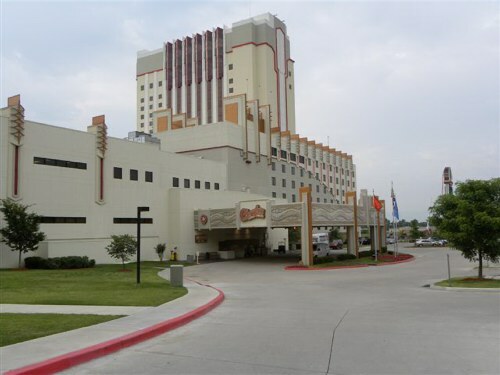 Just east of Tulsa, OK, at the town of Catoosa, the popular Cherokee Casino and Resort is now renamed Hard Rock Casino and Resort, with the opening of the new 17 floor tower hotel wing. The casually chic décor and comfort of the new tower is tops, with care for details in the clean red and gray color scheme, granite counters and showers, HD flat-screen TV’s, and extra good lighting in rooms. Suites are exceptionally luxurious also. Although it now bears the Hard Rock logo and worldwide identity with Hard Rock enterprises, the casino and resort is still totally under the management and control of the Cherokee Nation. Hard Rock Casino has all state of the art slot machines and large non-smoking gaming areas. Even in the smoking areas of the casino, the air filter system is so effective you will not come away with clothes or hair smelling of cigarette smoke. Live music in several bars or dance floors is featured many nights each week and soon shows will be added. We learned that in the Indian Territory west of the Mississippi River the people of the five tribes, which were forced to re-locate from the southeastern area of the United States in 1839, were allotted individual plots of land to own in this northeastern part of Oklahoma encompassing 14 counties. The other tribes re-located into areas of Oklahoma were Creek, Choctaw, Chickasaw, and Seminole. The wise and experienced Chief John Ross, who had been a plantation owner in Virginia, led more than 16,000 Cherokee men, women and children on the Trail of Tears march, west, beginning in 1838. Once they finally arrived, Ross’s leadership helped them rebuild their lives and prosperity. Even though half of those on the march died along the seven to eight month march, much of the allotted land was later taken away through unfair bargaining and broken treaties. The Cherokees never gave up nor lost heart and pride and determination. They had had a system of law, Supreme Court, and education even before the white men arrived in the 1500’s. In Oklahoma they built a stately brick courthouse and a Supreme Court building soon after arriving and set about to rebuild a strong and peaceful nation with the principle goals of helping each other succeed. Most of these people were and are today Christian in their beliefs and practices. As a Nation, they seek out their own who are in need of help and do not give handouts but support the needs until the people are self-sufficient and are then able to help others in need. I asked if the new Casino and resort had a recycling program. I was impressed with the further explanation of how the Cherokees help each other. Yes, there is an extensive recycling program in the Hard Rock Casino and Resort, which was begun in earnest in early 2008. About 45 minutes’ drive from Hard Rock Casino and Resort we attended the June Art of Living Festival on Capitol Square in Tahlequah, the town, which has always been the capital of the Cherokee Nation. The Nation sponsors other art festivals, with the largest being on Labor Day weekend in September and a weekend in mid-October. These draw huge crowds of locals and tourists, further supporting the arts. In Tahlequah be sure to allow time to take one or more of the four tours: Cherokee History Tour, Old Settlers Tour, Civil War History Tour, Will Rogers History Tour. Each tour features different aspects of this most interesting history, of which the Cherokee people are proud. 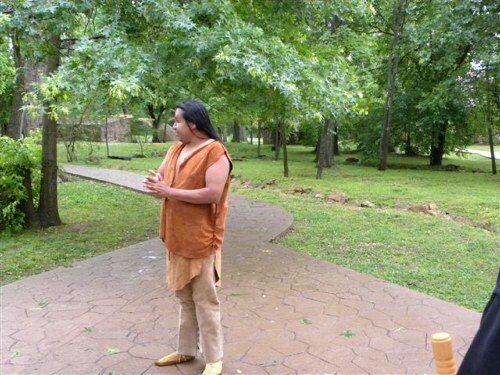 We enjoyed a day in the community of Park Hill at the Cherokee Heritage Center, where visitors through the summer can experience the history of the early Cherokees in the Indian Territory before Oklahoma became a state. We went into a log cabin (they were not nomadic or hunter-gatherers and did not use teepees) to see the simple furnishings; into the small wood Christian church; the smoke house where the embers preserved their meats; the general store, where we could purchase some old-fashioned items; and many other buildings which we normally associate with pioneer life instead of Indian ways. At many of the buildings you can see arts and crafts and skills necessary for living demonstrated by Cherokees in period costumes. Spend a half-day in the museum, which has excellent and heart-rending explanations and life-size figures depicting the Trail of Tears. Stay into the evening on Friday and Saturday for a really delicious, authentic Cherokee-style dinner and the open-air theater production “Under the Cherokee Moon,” which is a beautiful story dealing with a significant event in the history of the Cherokee Nation. Within a decade of relocating to Indian Territory, these brave and determined people built a large Seminary (college) for women. You can still see the remaining brick columns and photos of the graduating class. 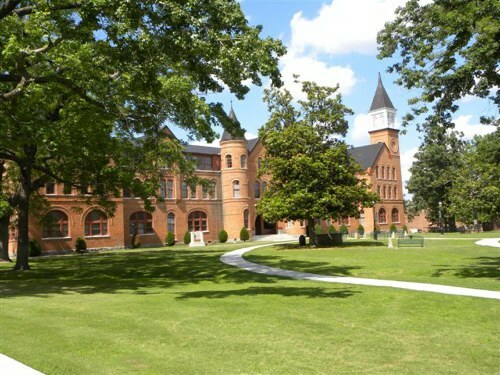 Sad but undaunted, the Nation, encouraged and led by their Chief John Ross whose own son attended Princeton, they rebuilt the Seminary in a beautiful red-brick gothic style on the hill overlooking Tahlequah, and the women’s Seminary re-opened in 1889. Be sure to see the clock tower whose east side has Cherokee writing. This area of Indian Territory was the wildest of the Wild West in the late 1800’s and early 1900’s, and more lawmen were killed within 50 miles of Muskogee than any other place. Determined to keep law and order and keep their people safe in Tahlequah, the Cherokee leaders built this stone prison. They created their own Marshall and police force and had one cross-Marshal (who was deputized by the United States and the Cherokee Nation) who could enforce the laws. Prior to that white criminals could escape to the Cherokee Nation and hide out, continuing their killing spree. At first the Cherokees had no authority to arrest them. With the new system and jail they arrested them and held them in the prison until a US Marshall came for them. We also visited a beautiful ante-bellum mansion, The Murrell House, in which the niece of Chief John Ross, Minerva Ross, lived with her husband George Michael Murrell until her death from malaria. We enjoyed demonstrations of the fiber and fabric arts in the sewing cottage behind the main house, which was an example of the homes of the average working class Cherokee in the middle to late 1800s. 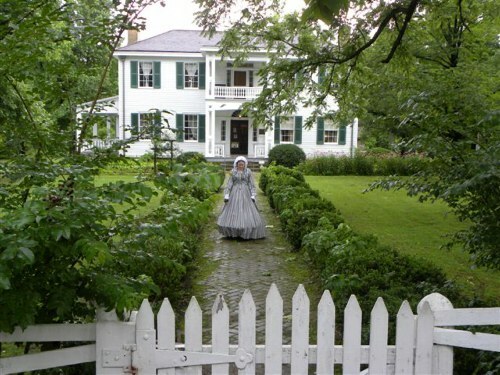 Carding of wool, spinning of thread, and other arts are explained or demonstrate by Mrs. Robert Lewis, who has a master’s degree in fiber arts and delights in the items she makes in the old-fashioned ways. You can take all these tours from the Hard Rock Hotel, arranged by the concierge. You can try to find “Lady Luck” in the Casino, or you can swim in the lovely indoor-outdoor pool, or work out in the fitness room on state-of-the-art machines, or use the quiet business center for your computer needs. You also have the option of playing golf on the beautiful 18-hole Golf Ridge course adjacent to the hotel. If you prefer to stay in your RV in the Casino parking lot (no hook-ups), free shuttles to the Casino can be arranged as you need them. You can also arrange ahead of time for a shuttle to pick you up at the Tulsa Airport, about a half-hour away. Other activities are available. 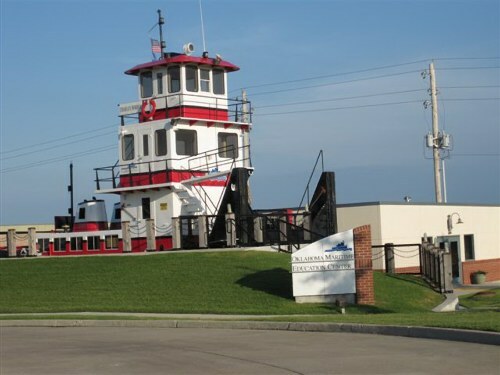 If you have a car, drive about five miles to the Port of Catoosa, the farthest inland port in North America. In the little town of Claremore, a pretty, fifteen minute drive from Hard Rock Resort, you MUST visit the excellent Will Rogers Memorial Museum. Claremore is the not far from the birthplace of Will Rogers of Wild West Show and Film fame. Rogers was an “unspoiled child of the plains, cowboy, actor, humorist and world traveler whose homely philosophy and superior gifts brought laughter and tears to prince and commoner alike. His aversion to sham and deceit, his love of candor and sincerity, coupled with abounding wit and affable repartee, won him universal homage and an appropriate title, ‘Ambassador of Good Will’.” If Andy Hogan, is there, you will be very fortunate to enjoy his very accurate impersonations of Will Rogers, in costume and with the same Okey drawl and Western wit. What a treat! You’ll see films, memorabilia, paintings, sculpture, and in the theater enjoy a live performance…all commemorating one of America’s national treasures: Will Rogers. We highly recommend eating a meal nearby at the small restaurant Asiana, which is noted as one of the 100 best Chinese food restaurants in the United States. The vast buffet is delicious and reasonably priced. There are many fast food restaurants and a small mall here also, enabling one to avoid the traffic of Tulsa. Whether you are visiting the Hard Rock Casino and Resort for a road trip, vacation, just a few hours, or as your location to explore Native American history, you’ll find plenty to do.